and moisturizing creamsare key products to make that tan last, we also have a few tricks to emphasis our color while it’s there. Here are our favorite tricks and products for the job. It might seem obvious, but this one is so easy to forget. Still, as we know that very few things beats hydration when it comes to emphasizing glow! Therefore; lets choose our serumand moisturizing creamwell ladies! Another great way to add hydration and freshen aka lighten up your skin. This one is too good! What’s the point in working on that tan if it’s all covered up? Summer is all about light weight products to us. Therefore we choose delicate and glow giving products over cover – any of those summer days and a bb-cream is a must. and over our cheek bones! …and of course we have a favorite. We place the product in the shape of the number three from our jaw and up. This way we both emphasize face shape and tan. Check out this one – you won’t regret! Don’t forget, this is the ultimate party trick which works every time! Choose a delicate color, which preferably matches your lips. Fresh lips and summer glowing skin? Yes, please! 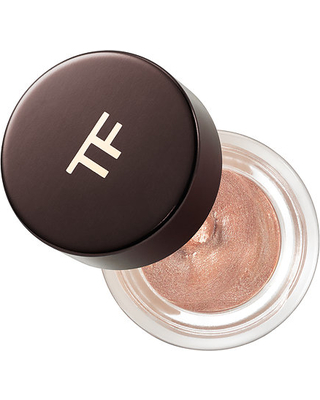 , highlighter fromNARS,bronzing powder fromBobbi Brown, eye shadow fromTom Ford, lip stick fromGuerlain.